A flood insurance policy from Five Brothers Insurance will protect your home or commercial property when you need it most. Florida home- and business owners are wise to purchase a separate flood policy to protect their home or business beyond the protections available in a standard commercial property or house insurance policy. Unfortunately, many property owners are unaware that most standard house insurance policies do not cover flood losses due to inclement storms and weather events, and sadly, federal disaster relief is not as easily accessible or readily available as you might think. First, a natural disaster must be declared for funds to become available, and then, you must apply for the aid and wait – sometimes long – periods of time until you receive any monetary payout. Even then, those funds aren’t “free”. Rather, they are a loan that must be paid back over time. For the above reasons and more, the importance of flood insurance cannot be overstated. A flood insurance policy will protect your structure and/or possessions from flood damage. How much of your property and its contents are covered will depend on the policy type you choose, with more comprehensive policies typically being more costly than those with simple property coverage. 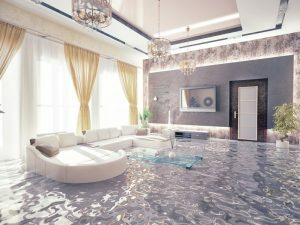 If you own a home or business in Tampa, St. Petersburg, Clearwater, Sarasota, Bradenton or any of the neighboring cities and are interested in purchasing a flood insurance or house insurance policy for your home or office, contact the experienced agents at Five Brothers Insurance today for quotes. We look forward to becoming your preferred insurance agency.